After rain and sun, the garden is a gloriously abundant and colourful mini-paradise; great wafts of scent sweep in through the open windows and still evenings are a sumptuous sensory banquet as I wander and fondle leaves and taste the herbs, sniff the honeysuckle and roses, listen to the chatter of the housemartins under the eaves and have my eyes caught and held by bee and moth and bird and flower. Most striking of all, at this time of year, are the self-seeded digitalis, foxgloves, their pink and white spires climbing to the sky out of the dense green foliage at their feet, graceful forms in the dusk, their finger-fitting flowers even this late sucking in the bumble bees. I recall that every single part of this ‘witch’s gloves’ plant is toxic, with poisonous leaves, stem, flowers, roots and seeds, and find myself thinking of belladonna, the deadly nightshade, and strychnos nux-vomica, the strychnine tree of India, both of which also have the ability in all or most of their parts to kill humans and animals. There are two superbly symbolic passages about the deadly nightshade in L.P. Hartley’s The Go-Between, where the young and naïve Leo finds himself fascinated by and drawn to a rampant specimen in a ruined outhouse, an emblem of the enduring destructive power of the fabulously-seductive and forbidden adult relationship to which Leo plays pander. It is interesting, however, that all of these plants, though lethal, are amongst the most potent and efficacious remedies for the homeopath, their toxicity refined almost out of existence by a shaking process called succussion. I consult my materia medica, and remind myself of what I did already know, that, in its homeopathic form, digitalis can be an effective remedy for diseases of the heart, while belladonna works on the nervous system and nux vomica has wide-ranging impact, especially on men! A crime writer with an interest in natural poisons – in past centuries, I might have been burned as a witch! Now, I might weave such plants into a plot, as L.P. Hartley did so cleverly, and harness the evil within them for a good purpose, like a homeopath. 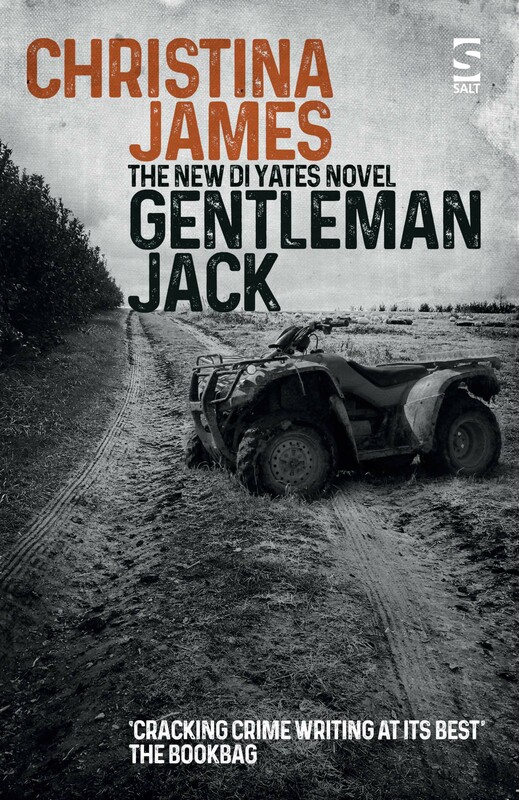 Crime novels are packed with death-dealing stuff, but they clearly have a cathartic purpose and, as a result, are very popular. Excuse me while I get out my pestle and mortar and crush a bit of digitalis into a story. I’ve just been propping some of mine up, Christina! Sometimes the wind batters them so much they fall over rather sadly. 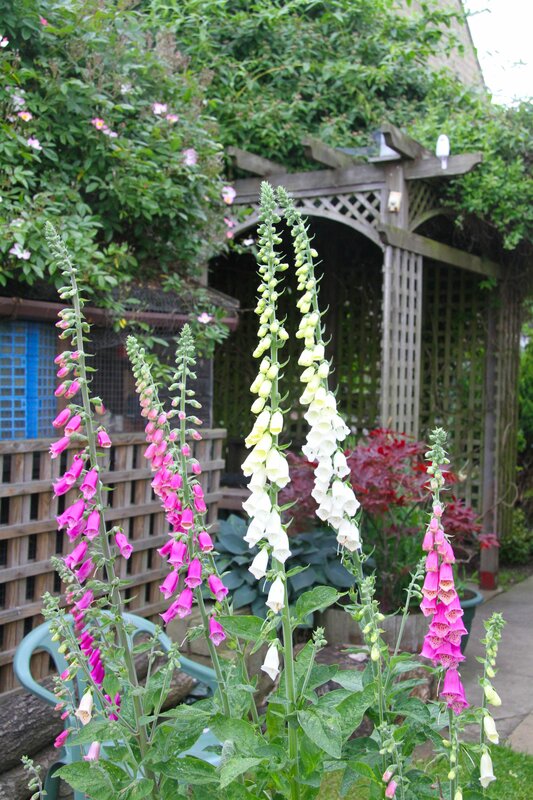 However, I am glad I have them in my little Zeeland garden as it is rather damp and doesn’t like all that many plants, so the Foxgloves give me lots of lovely colour and I really appreciate the fact I don’t need to plant them. They pop up everywhere! I knew about the toxicity, but al also glad they have use in homeopathy. Yes! Me too! I’ve been trying to grow hollyhocks in my garden as they are my favourites of all, but I’ve had no success with them. 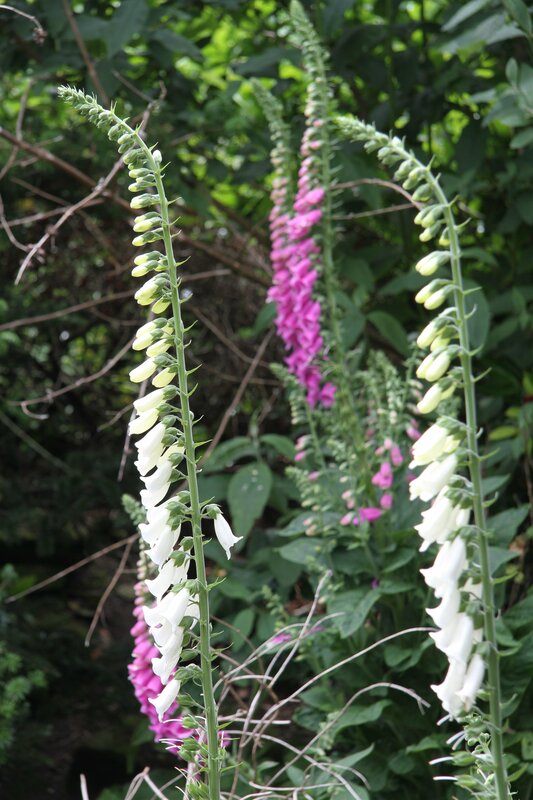 The foxgloves make up for that a bit with their lovely height and mauve and white bells. I fear my ground is too wet for hollyhocks, though, I’m learning slowly what will do well, but it’s a disappointing lesson sometimes as many plants I buy just get eaten by the snails, despite my efforts to keep them off. Hollyhocks are tricky, I think, as they suffer from ‘rust’ fungus. I must admit that they look lovely outside a country cottage, but I’ll be sticking to foxgloves. For me, what will grow well is what will grow! We have allowed ferns to flourish, as, although they are very much just foliage plants, their fronds are so delicate and attractive. Aah, that’s an idea. Maybe ferns would do well here too. I shall try that! 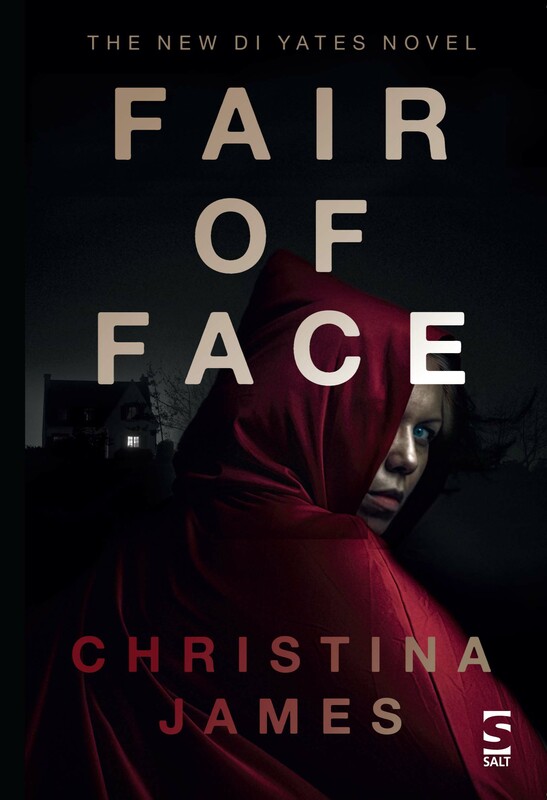 Thank you, Christina! I do well with begonias and geraniums in pots, so I have plenty of them to add colour!